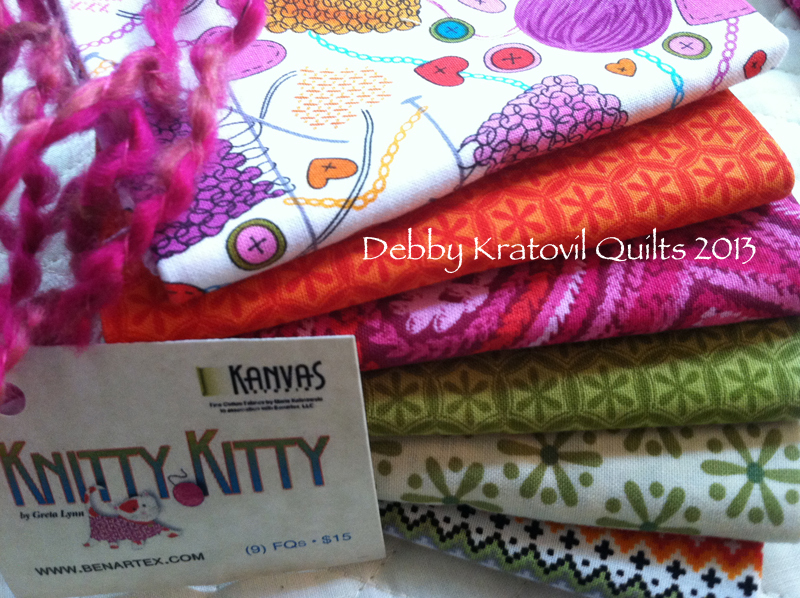 Several years ago I did a blog post using the Knitty Kitty fabrics by Benartex. 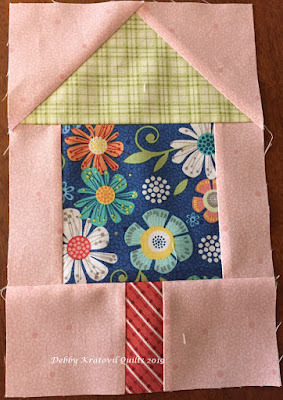 I fussy cut a few of the leftovers and used them for the centers of some Grandmother Flower Garden (GFG) blocks. These use 2" hexagons. 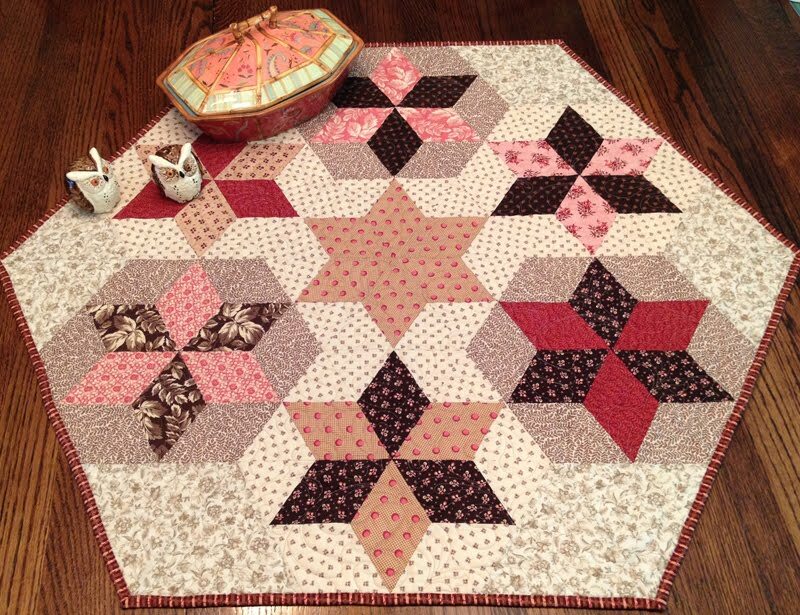 I had several I made up into kits for my students in my English Paper Piecing classes. I had two leftover blocks that were waiting for a home. I made a few things with these sweet fabrics (click this link and go to see the blog post). Just to be perfectly clear: I do NOT know how to knit, only crochet. But yarn is yarn and so we all can live together in peace. Here is a shot of the fabric with these sweet kitties. I wish I still had some . 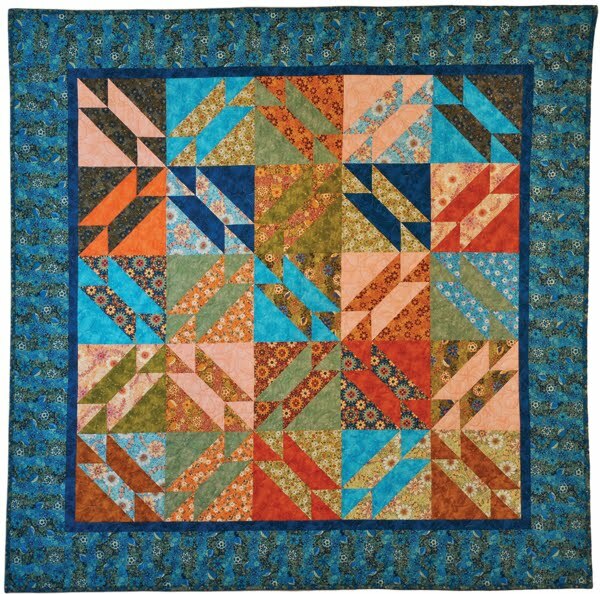 One of the two leftover blocks I had made. 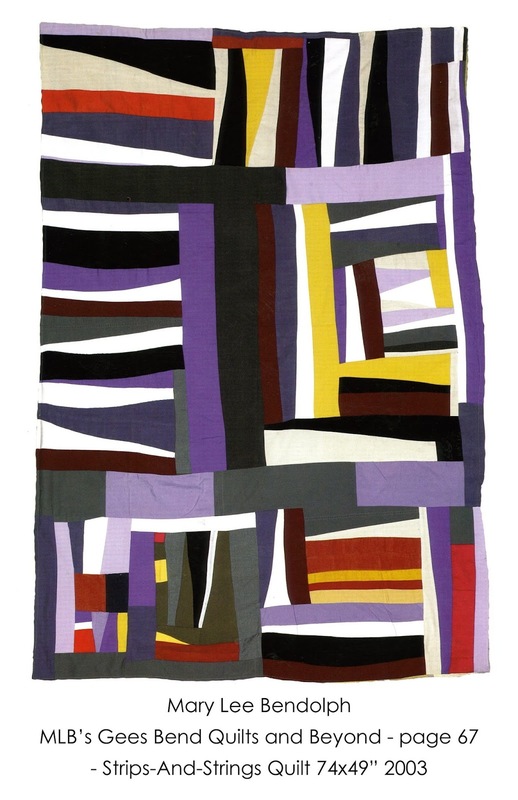 My daughter Audrey asked me if I had a kitty quilt I could give to the daughter of a woman she knew. 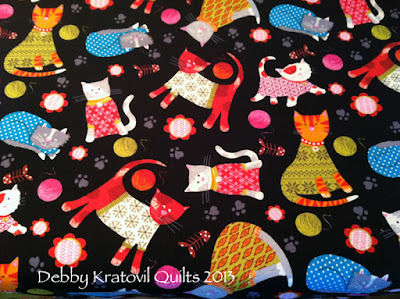 I am not a cat person, but you can be sure I have kitty fabric. 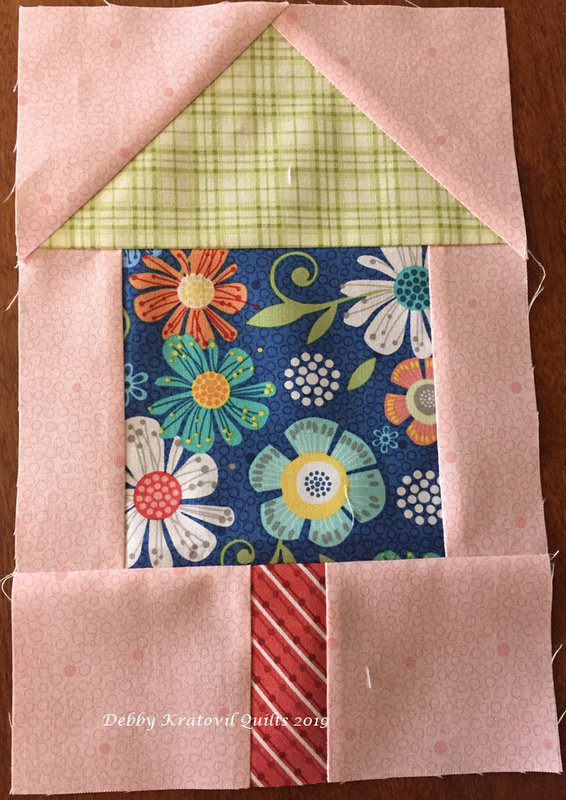 I remembered these two blocks (which were already stitched), but I didn't have four! What to do? Work with what I DID have, of course! 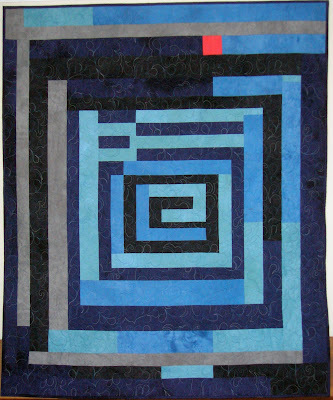 Here is the simple 4 Block quilt I made with 2 blocks and 2 squares. These are 12-1/2" squares and then I put borders on for a sweet little girl's quilt. 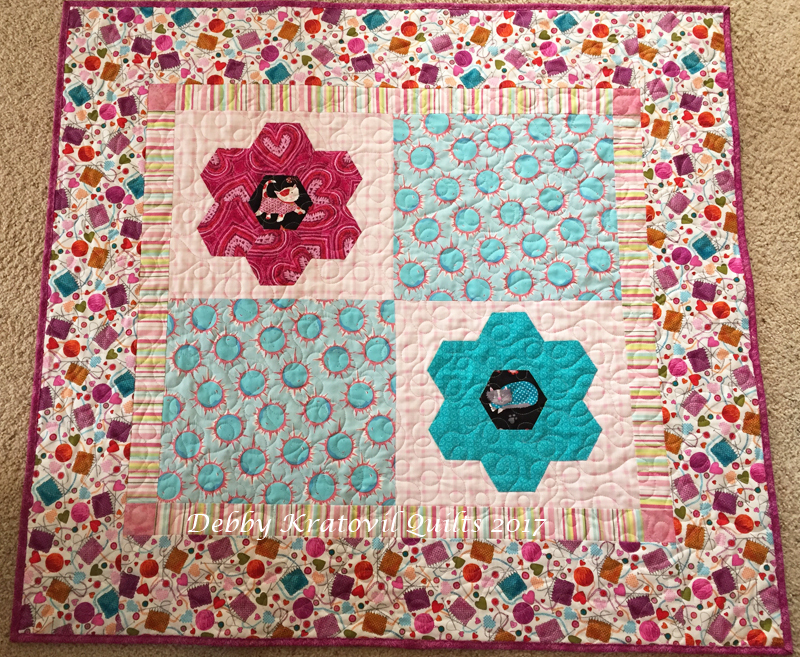 Who says I needed four EPP blocks? 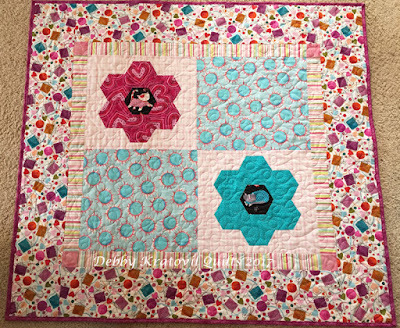 I made do with what I had and the little child who got the quilt was so excited! The two blue print squares are smiling suns, so happiness everywhere. What's this post all about? Make do with what you have. Think outside the box (or outside the BLOCK.) 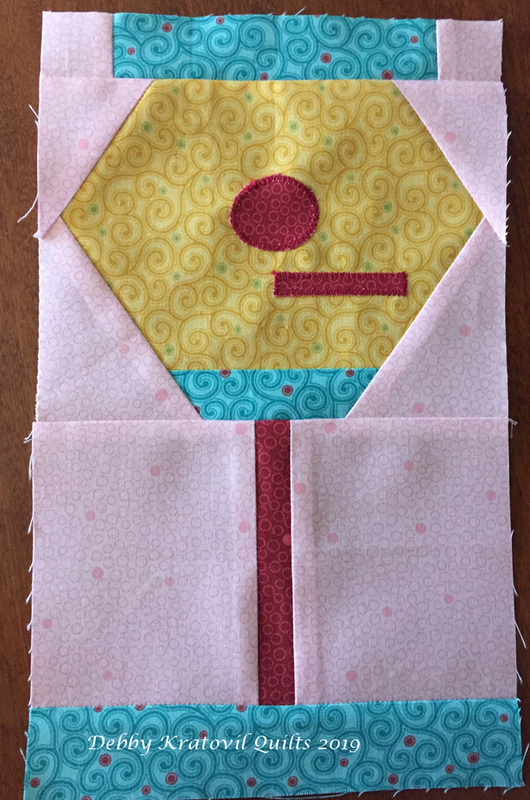 Personally, I think it has more personality than four EPP blocks, don't you? Home Grown by Nancy Halvorsen are the featured fabrics at the Sew in Love with Fabric blog today. 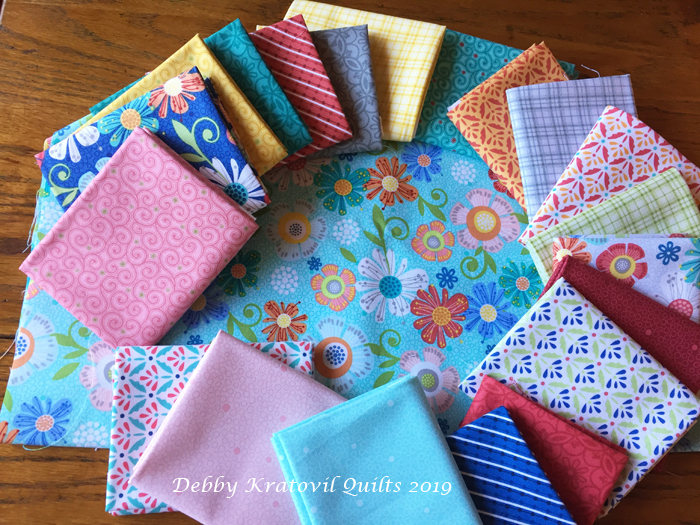 Nancy's fabrics and quilts have always appealed to me because I love happy, bright, cheerful patterns and colors and these did not disappoint. I asked for a bundle of fat quarters and a half yard of the main print. 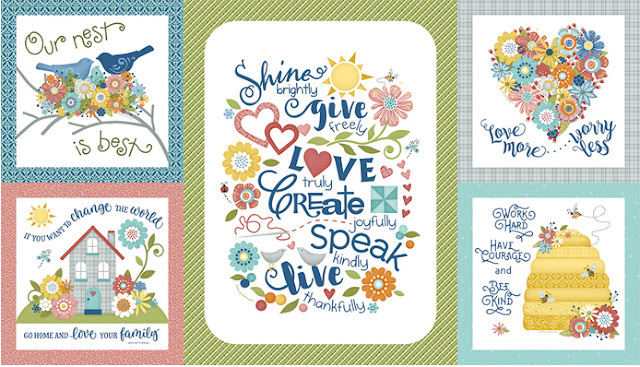 This collection centers around an awesome set of panels - one large and four smaller ones. I feel like I got lucky in that the four smaller panels finish to 10"! birdhouses to go with us. Can you make some birdhouses?" Of course! 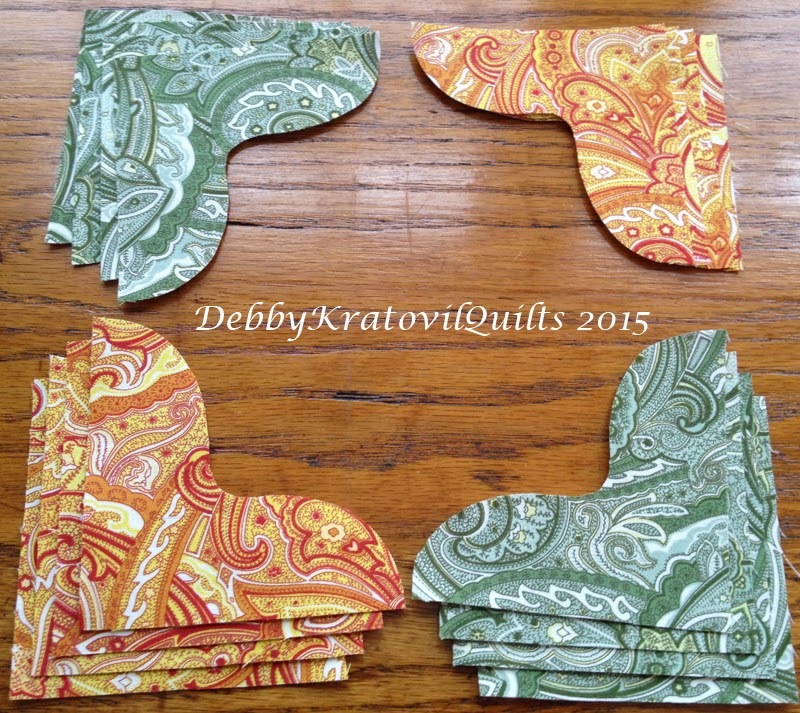 I have a set of upsized 10" paper pieced birdhouses that would go perfectly with these. 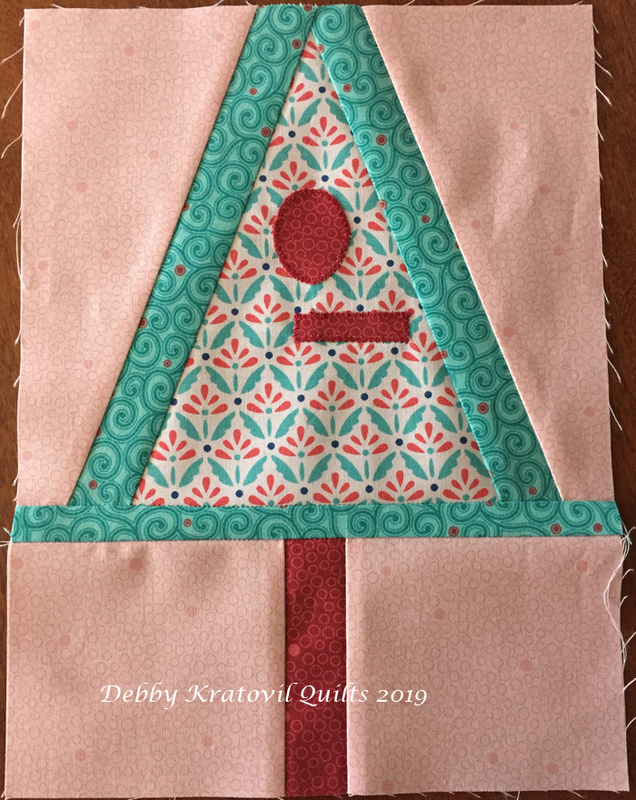 60's A-Frame: 7-1/2" x 10"
Beginner's Birdhouse: 6-1/2" x 10"
Home Tweet Home: 7-1/2" x 10"
Room for One Birdhouse: 6" x 10"
Take a visit to the Sew in Love with Fabric blog to see what I did and tell me which Birdhouse you like the best (of the four shown here). You will be entered for a chance to win a fat quarter bundle (8-10) of these (USA residents only). PLEASE leave your email. For some reason Blogger makes many of you a "no reply commenter" and you're anonymous. I can't reach you! You can see all 10 of the birdhouses at my Etsy store in Birdhouse Bonanza! Here is the list of other bloggers using Home Grown and another chance to win some fabric! "Hi, mom. 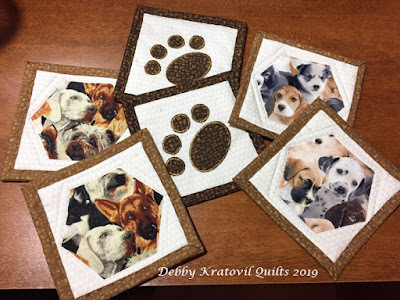 I'm wondering if you can make something for our German Shepherd Rescue group for a fundraiser. 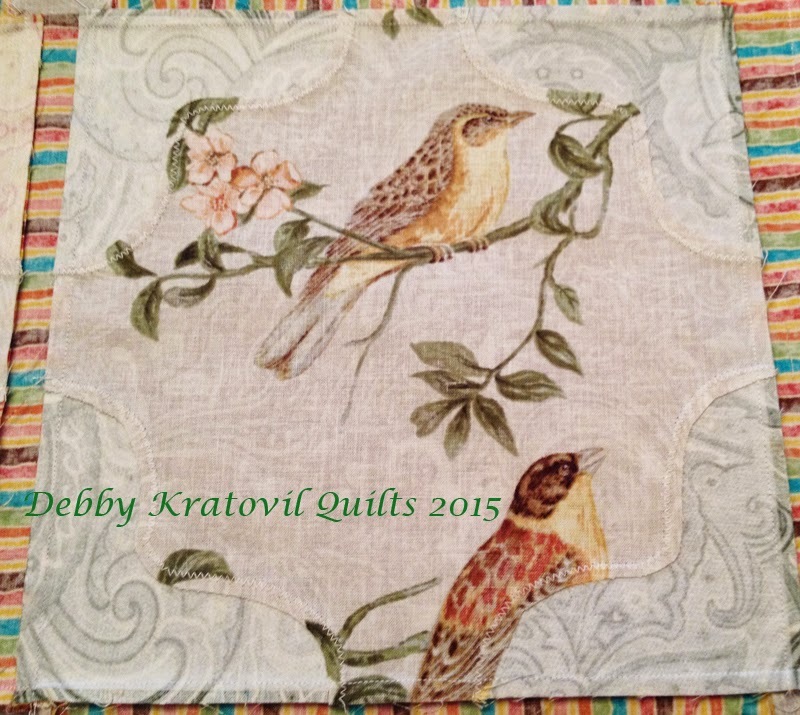 Do you have anything, maybe coasters or placemats? I'll pay you!" (from my favorite youngest daughter in Atlanta) And I laughed and I laughed. Are you kidding? I had scraps of dog fabric and went to work. And, no, she's not paying me. 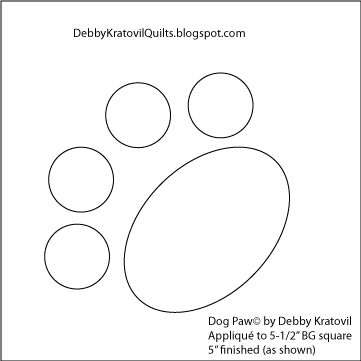 You can have the simple pattern for the Doggie Paw block here. This is a png file. When printed it should come to 5" (finished size is what you see). Everybody's computer is different and since I don't have a free spot anymore with Craftsy, this is all I can do at the time. You can tell your printer to scale the size and I hope it works for you. I used fusible webbing and matching thread for the machine appliqué. 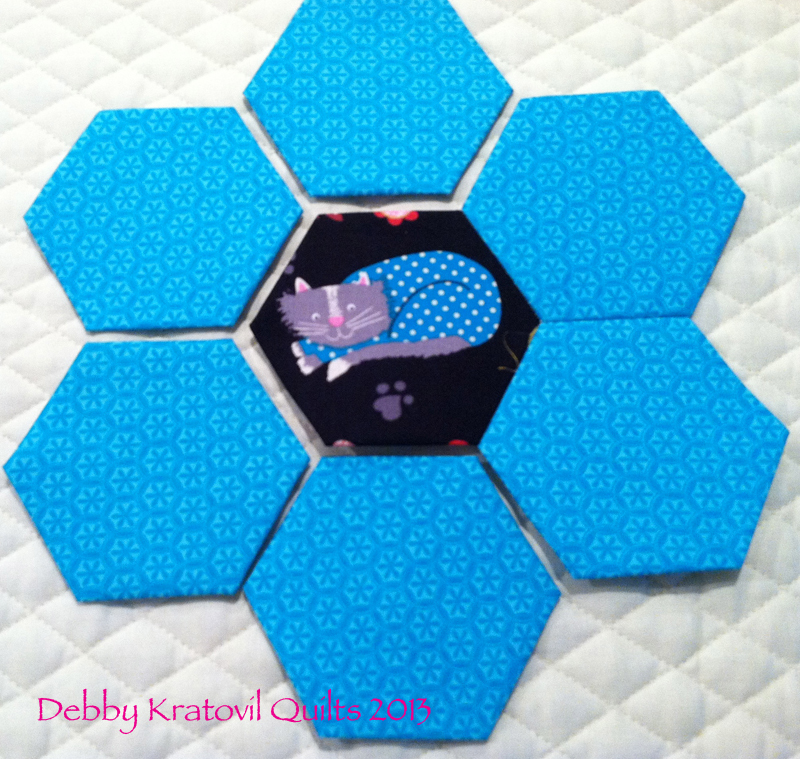 The print hexagons are English Paper Piecing 2" papers. 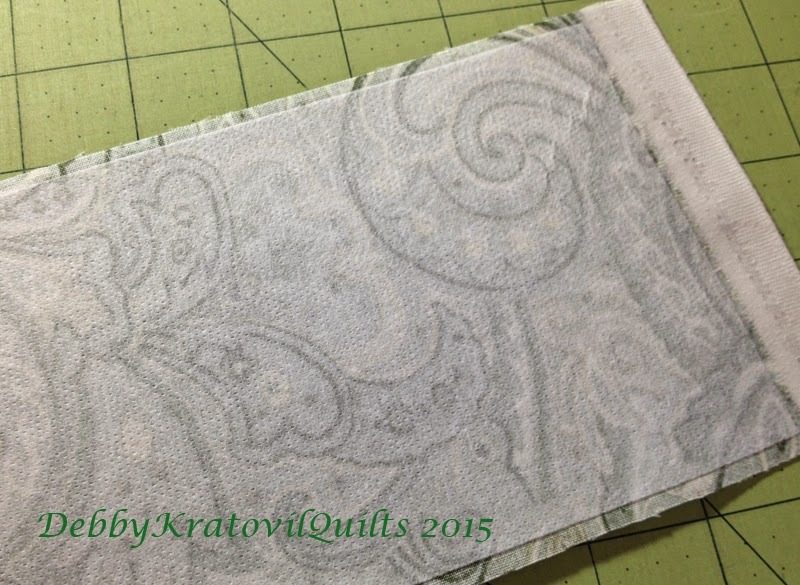 Stitched and then placed on 5-1/2" background squares and zigzag stitched with monofilament thread. These were the last of my scraps, but I'm so happy I was able to squeek out enough for these. 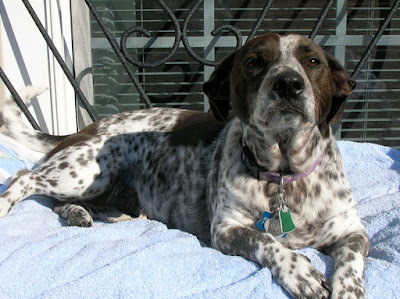 And just to show you I'm a dog person, here's a pic of my sweet dog Belle who passed away 2 years ago. She lived a long life (almost 17 years) and gave us a lot of smiles! I just discovered an awesome web site with some great background and bio info on these amazing quilters from Gee's Bend. 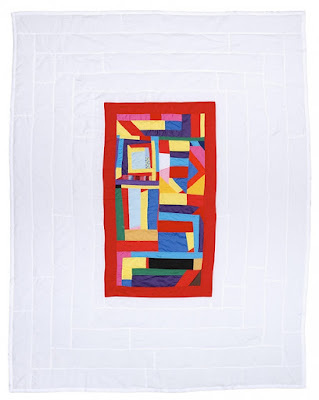 I've shared my adaptations of 8 of the quilts here before. 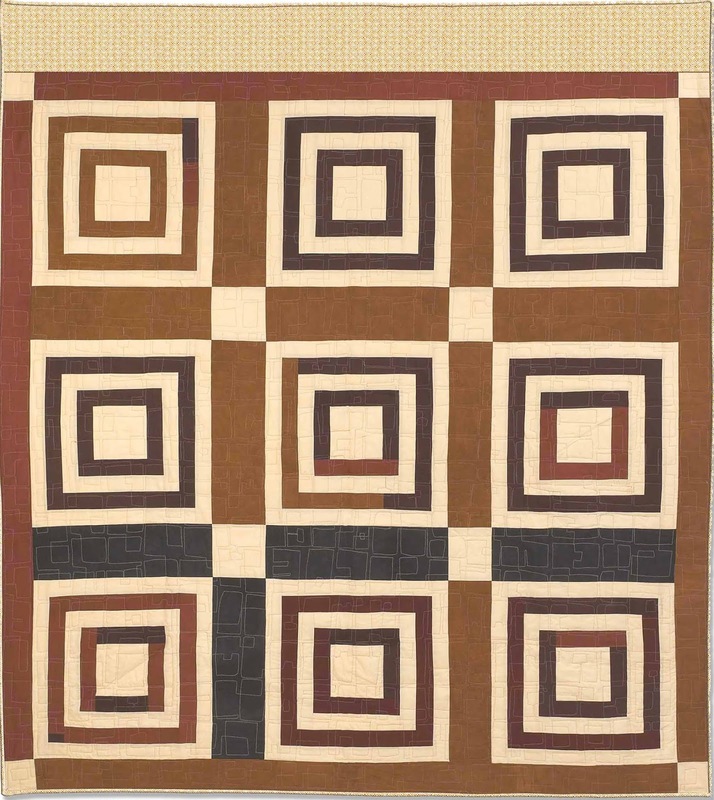 The fantastic thing about this site is that there are a lot of quilt pictures and quilts attributed to the various quilters. 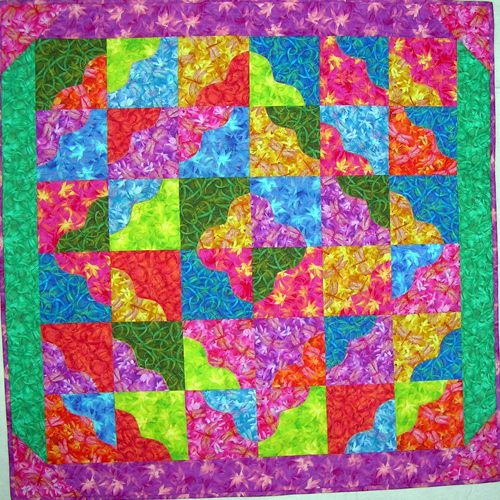 The site is called The Gee's Bend Quiltmakers. Just to get something straight (because I've had some snarly comments about my right to pattern the quilts): Windham Fabrics went to great lengths and a year of negotiations to partner with the Gee's Bend Collective in order to create a set of solid/batik fabrics (about 2 dozen colors) AND got permission for me to pattern 8 of the quilts that THEY AGREED TO. 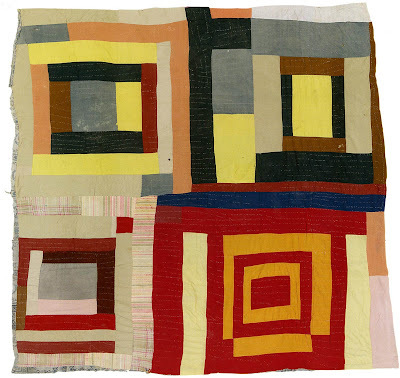 The Gee's Bend quilters own the rights to the original quilts. They were improvisational. I own the rights to the adaptations, the patterns that were created. The Gee's Bend Collective received royalties from the sale of the kits (fabrics plus patterns) for several years. All rights to the patterns belong to me. That's how I can continue to sell them. I am stepping on no one's toes! Now, back to this awesome web site. Since it's Black History month, getting some solid background info on these talented ladies is a good place to start. 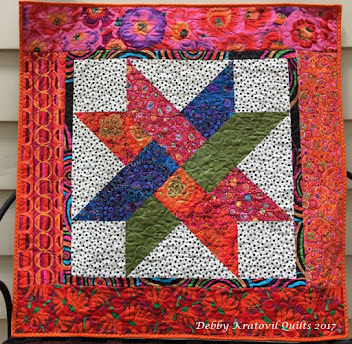 It lists each quilter and links to many (maybe all) of the quilts she has made. You will spend a LOT of time here, I promise, so go get another cup of coffee. NOTE: When you click on the name of the quilt maker, it will take you to a page dedicated to her and the various quilts she has made. It's an awesome thing to see, believe me! Also, the 8 quilts I share here are the quilts I have patterned and are available at my Etsy shop. Mary Lee Bendolph gave her permission for me to pattern Strips and Strings. Holy cow! 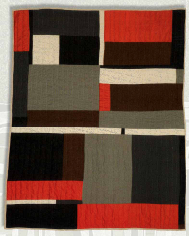 That was the hardest quilt. Why? Just look! How can you pattern something so, well, improvisational! And here's my rendition. Pretty close, huh? Strips and Strings: 50" x 75"
This was easier to pattern. What do you think? 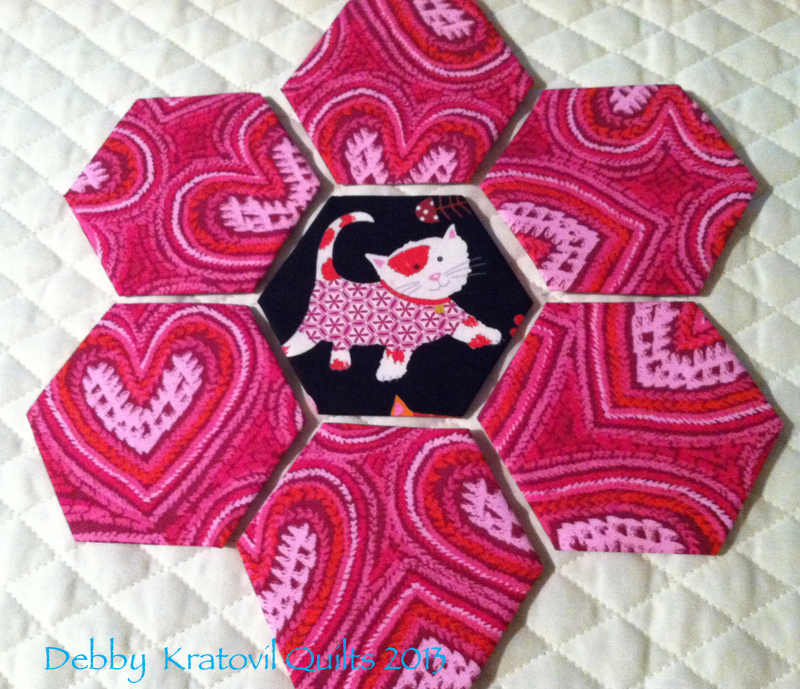 My Housetop 4 Block is available at my Etsy shop. You can see a bio page on Mary L. Bennett there, too. 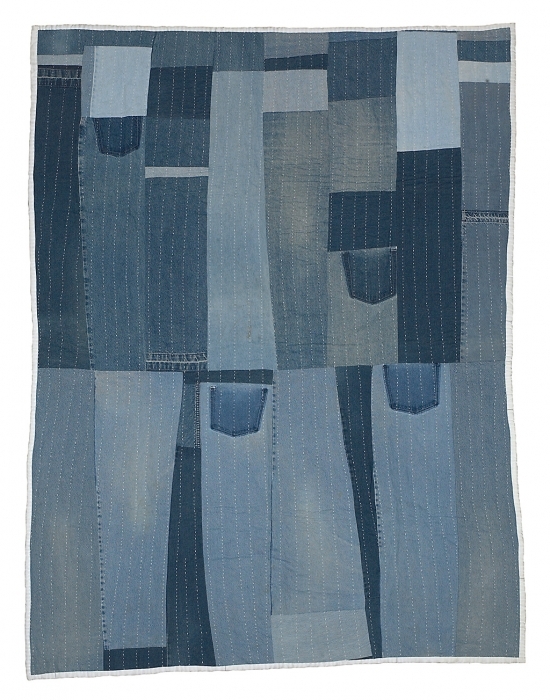 Blocks and Strips: 50" x 62"
Loretta Pettway Bennett created the Work Clothes Denim Quilt. This is a fun way to recycle old jeans. And let's make sure we include a few pockets here! 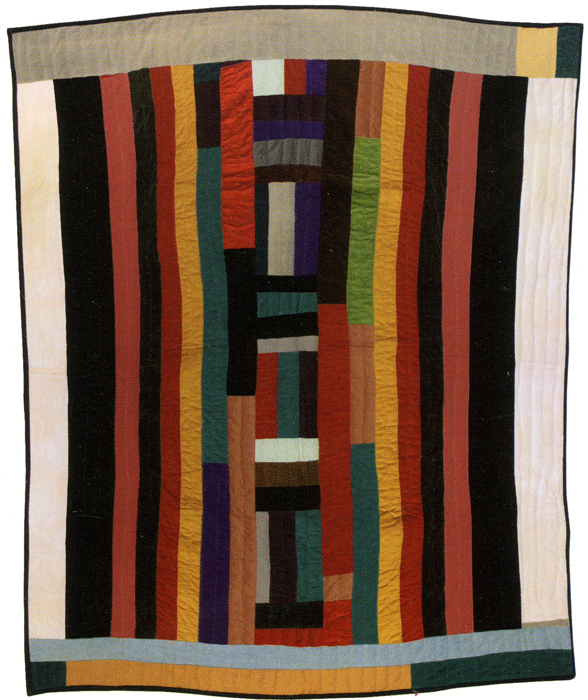 Loretta P. Bennett's Work Clothes quilt: 60" x 79"
And my version. Yes, four pockets! 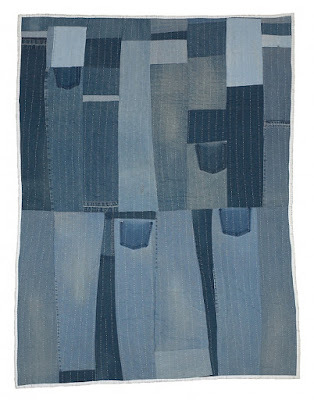 Work-clothes Denim: 46" x 60"
Qunnie Pettway designed and made Lazy Gal. Don't you just love that quilt name? This was also an easier quilt to pattern. No hair pulling here. My version of Lazy Gal. 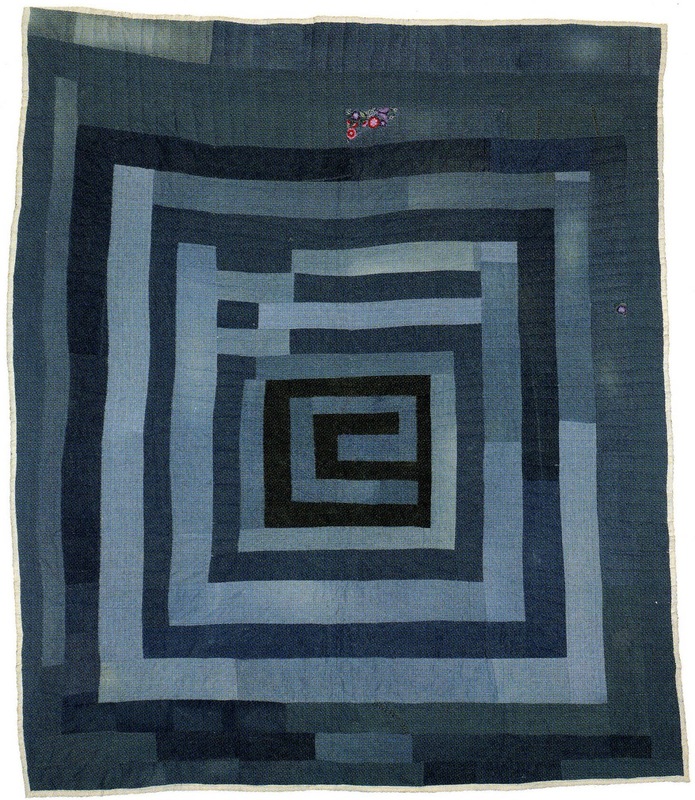 Lazy Gal: 52" x 62"
Rita Mae Pettway made Housetop Denim. There were a LOT of "housetop" quilts (ie, log cabin variations). And they used a lot of denim - leftover jeans. 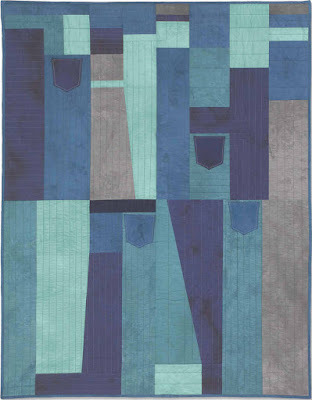 Rita Mae Pettway's Housetop Denim: 70" x 84"
My version is scaled at 3/4 (as we did with most of the others). Don't you love that renegade piece of red print up at the top? 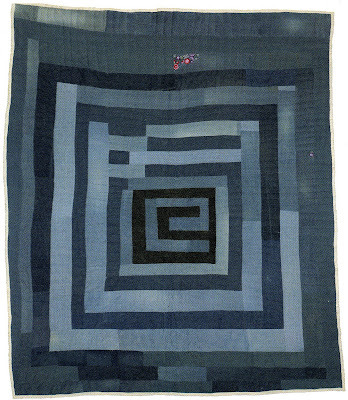 My Housetop Denim: 51" x 62"
Louisiana P. Bendolf created this fantastic strippy quilt she called Medallion Variation. This was also a hair puller to pattern. Look at all those strips and strings! And, yes, that is a LOT of white around the center! Louisiana Bendolf's Medallion Variation: 66" x 86"
Windham asked me to pattern just the center. Again, this was a real challenge, but I gave it my best shot. I actually made Medallion Variation two times. I gave the second one to my oldest daughter's best friend and she was delighted beyond words! 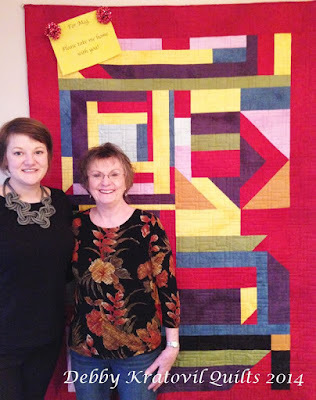 My Medallion Variation: 52" x 76"
Here is Meg and me with her special birthday gift a few years ago. I hung it in my kitchen with a big sign at the top: Happy Birthday, Meg. It took her about 20 minutes to finally look up and see that it was hers! 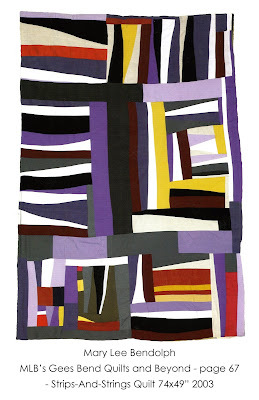 And the last quilt in this series is Housetop 9 Block by Annie E. Pettway. 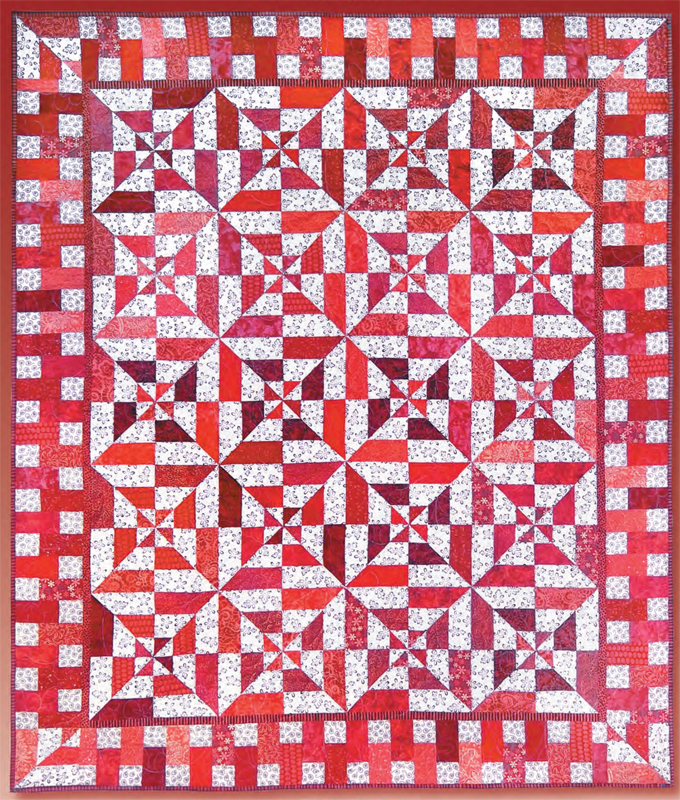 Housetop 9 Block by Annie E. Pettway: 71" x 77"
Housetop 9 Block: 66" x 73"
I hope you enjoyed seeing all of these amazing quilts. 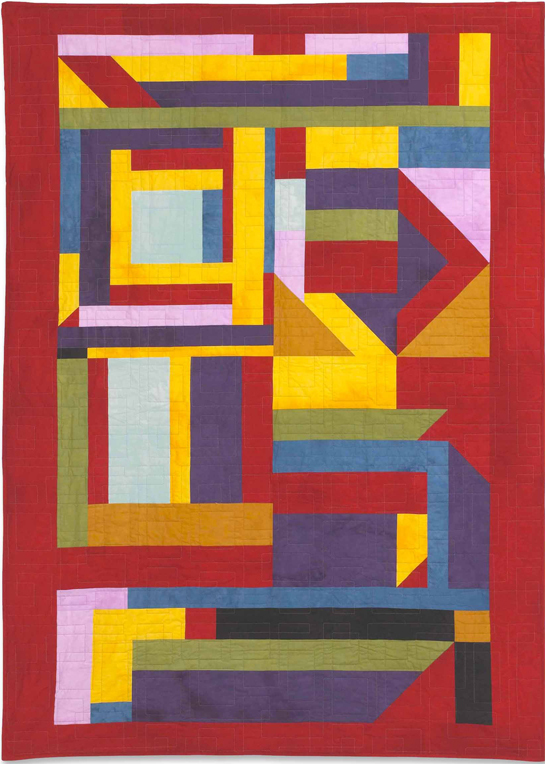 Perhaps you've been to an exhibit of Gee's Bend quilt or had the privilege to attend one of these quilters' workshops or lectures. 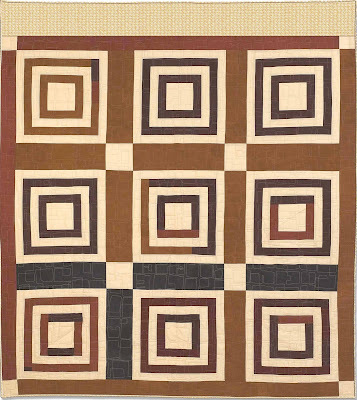 I hope you also take some time to visit the links I've shared above: The Gee's Bend Quilters. There are so many quilts made by so many Gee's Bend quilters. I personally have never seen so many in one place (and I've been at this for over 10 years). 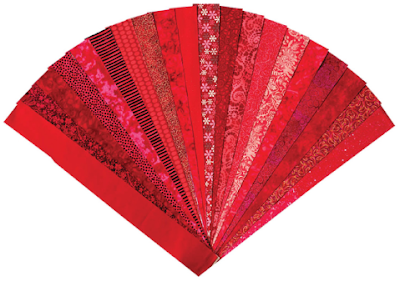 We're still in February, the month of LOVE, and I have been asked several times in the past month for the Red Hot Flash quilt I designed for Blank Quilting in 2012. I no longer have my free patterns available as I am slowly migrating them over to another server, but this link will take you to a 3rd party site which makes available the pattern pdf. 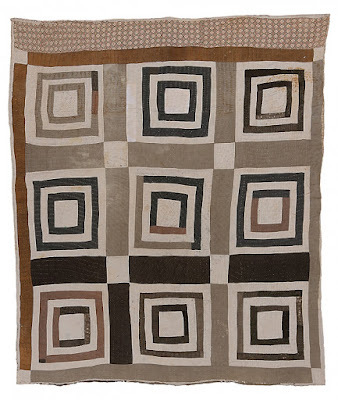 Well, I guess it's the nature of my age, that I would name a quilt after how I feel all the time. Why doesn't my husband understand that I need to have the AC turned down to 50 degrees? 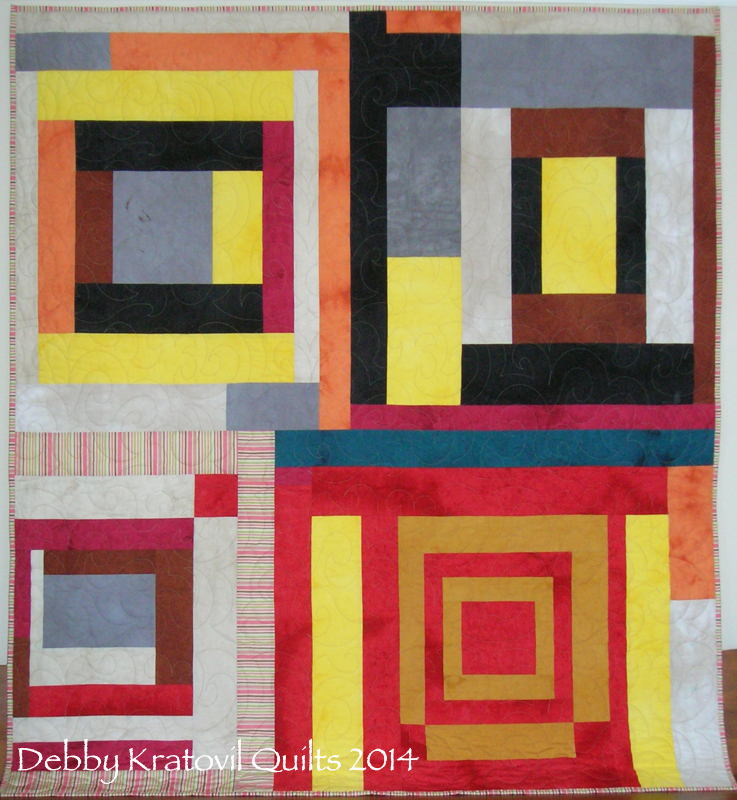 This pattern is for a brand new quilt I designed and sewed for Blank Quilting using ONLY one set of 2-1/2" strips. 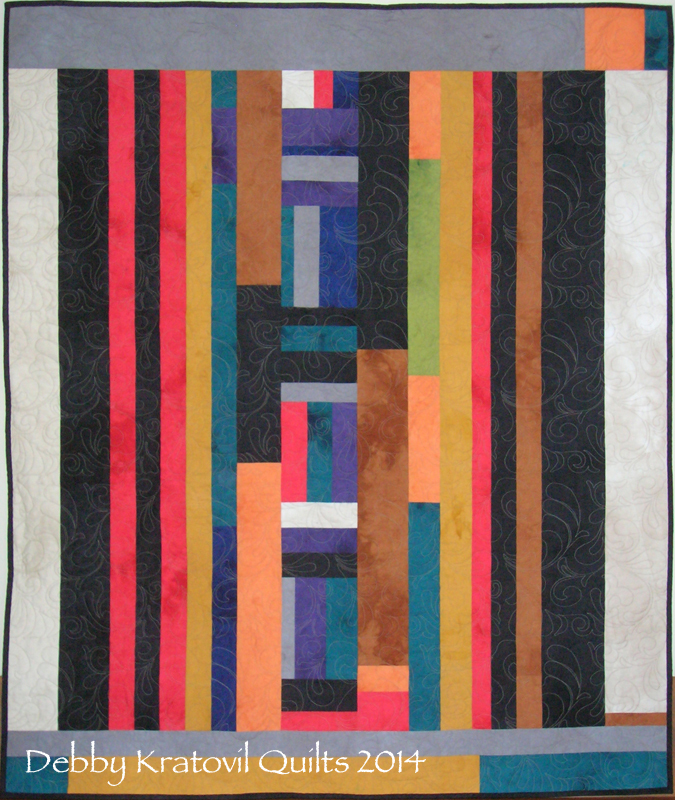 Their sets of 40 strips are called Fabrications and other than the binding and a black and white swirly background print, I used all of the 40 strips for this 59" x 70" quilt. You can download the pattern here: Hot Flash Pattern. Any set of red strips will do, of course! 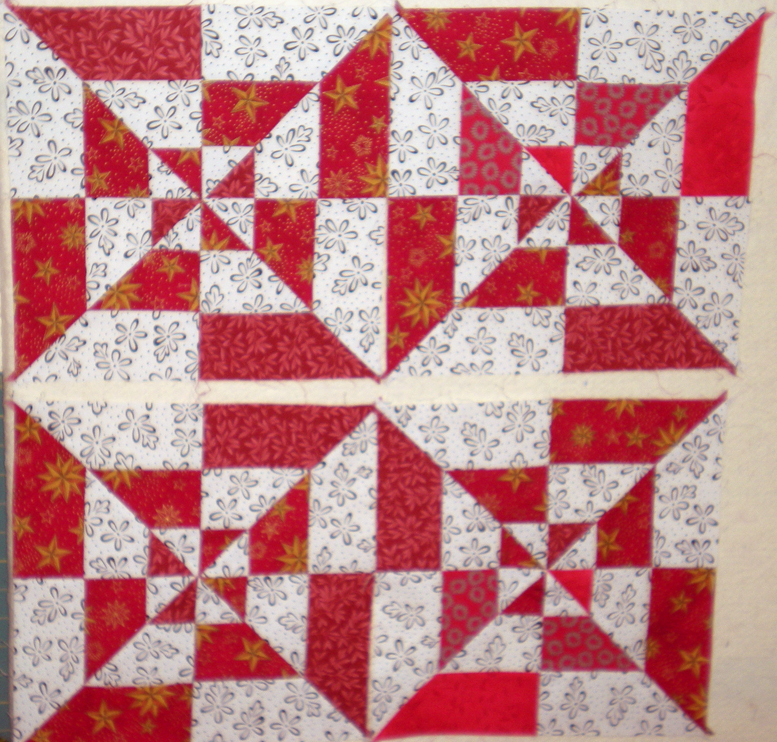 Here are a few of my sample blocks before cutting up the strips above. These Spiderweb blocks are made with NO templates! 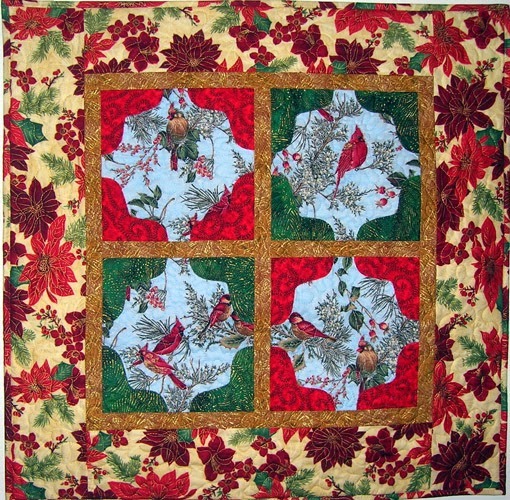 Take a visit to Quilting Land to see one she made. It's just as striking as mine above. 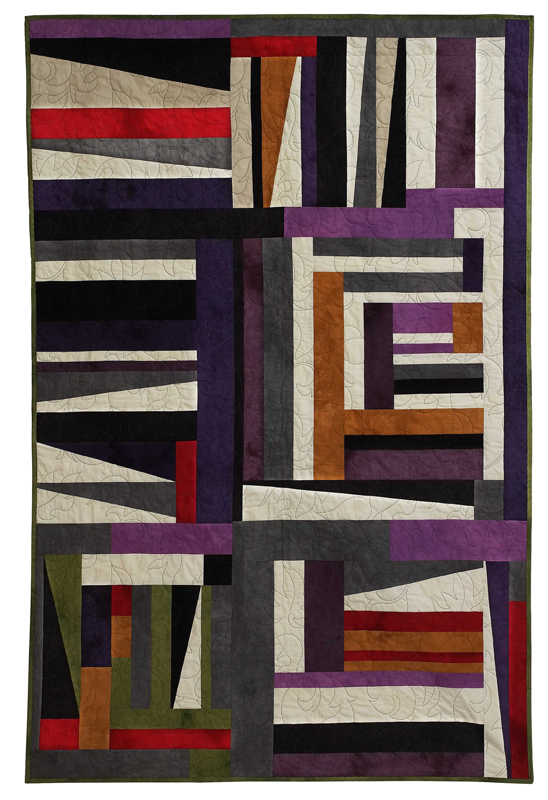 Who doesn't love a 2 color quilt?! 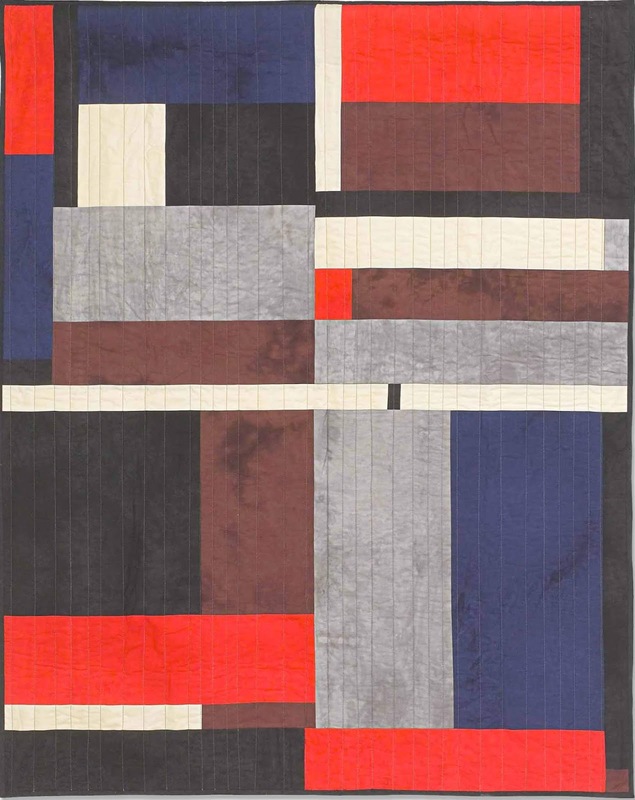 This post appeared several years ago when I featured the Avignon Collection by Benartex. 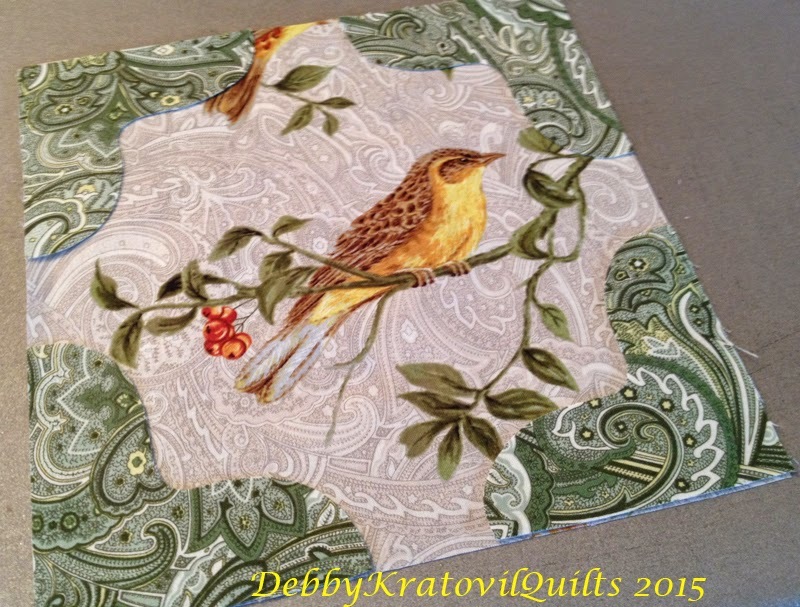 I revisited a pattern I've used several times. This uses my Photo Corner technique which was the focus of a workshop about 10 years ago called Rainbow Strips and Curves. Here is the first quilt I made with this. Yes, very bright, I know! Then I wanted to fussy cut some holiday birds and make them the focus of the blocks. These are my Holiday Birds. I like that the birds aren't dead-center, but are arranged "organically" inside the frame. What do you think? Now, you may be thinking: I can't think of Christmas. It's only February! 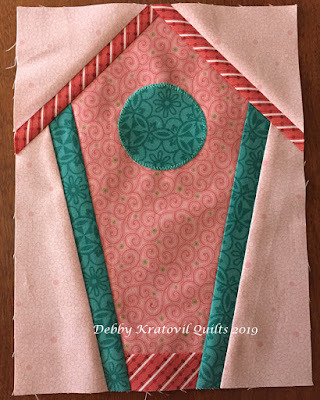 But think about some of those awesome prints in your stash that are just begging to be centered within these photo corners. I'll wait while you go dig them out. Are you back? Let's move on to a non-Christmas set of bird blocks, shall we? What kinds of birds might you have in your stash? 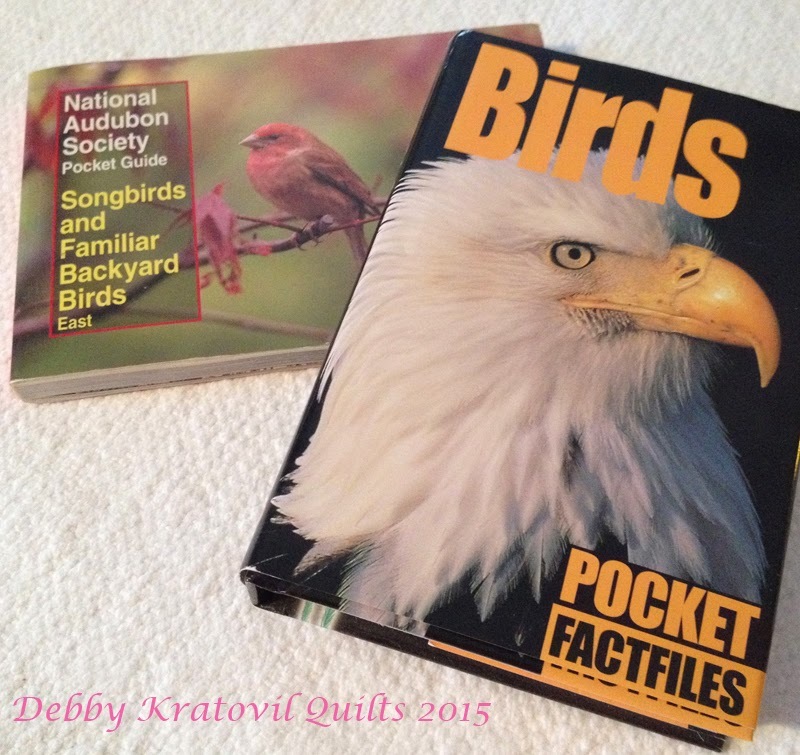 I had a few bird books in my bookshelf to help me identify my backyard visitors and then my daughter said that she wanted them for my little grandsons so they could bird watch. What fun! Here are the Avignon fabrics I received from Benartex. Next, my simple photo corner templates, which can be found in my Holiday Birds pattern. I used freezer paper to trace the simple template. I made two so I could cut quickly. 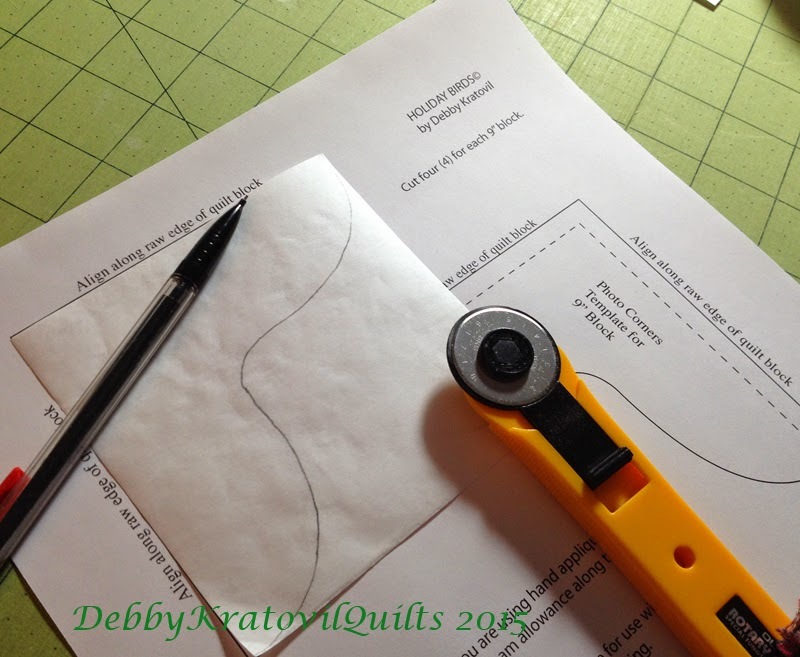 Yes, you first have to iron fusible interfacing (NOT double sided, like Wonder Under) to the wrong side of fabric. 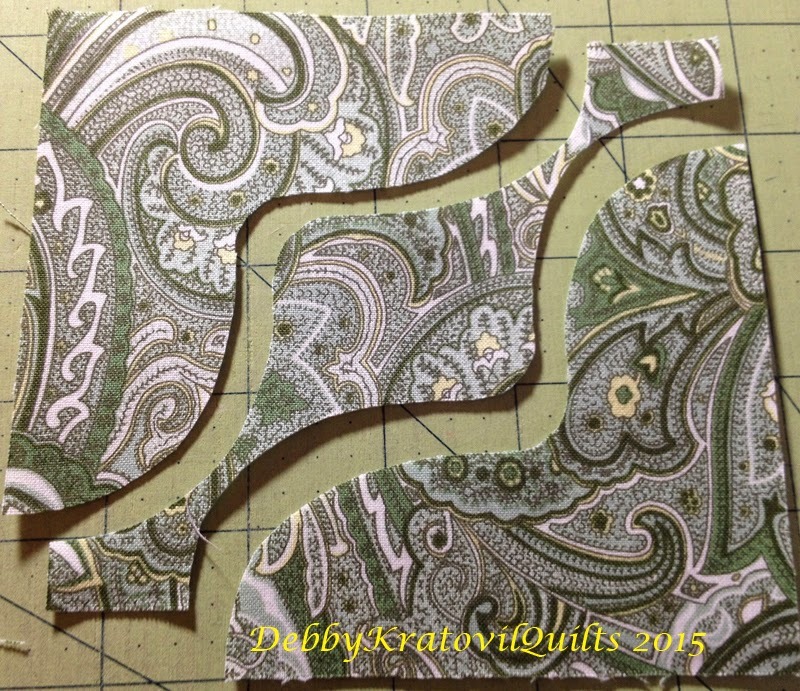 This stabilizes the raw edges for machine appliqué. Cut out squares and then use freezer paper templates to cut out photo corners. 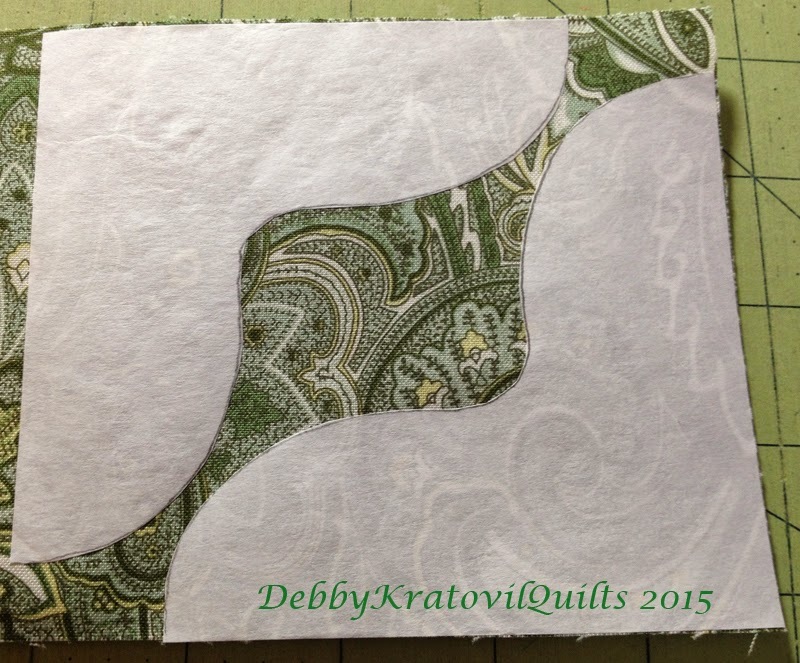 Iron freezer paper to right side of fabric, then cut out. Two photo corners cut out. Funny little shape in center: discard or find some clever use - your call! Photo corners cut out and ready for the birds! 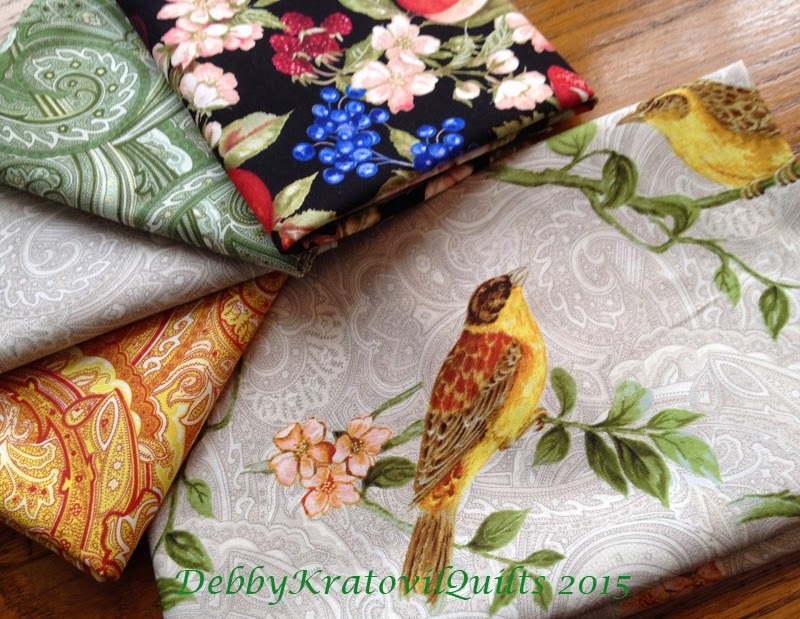 I asked for 1/2 yard of that awesome main bird fabric. I wish I had asked for more, but it worked out! 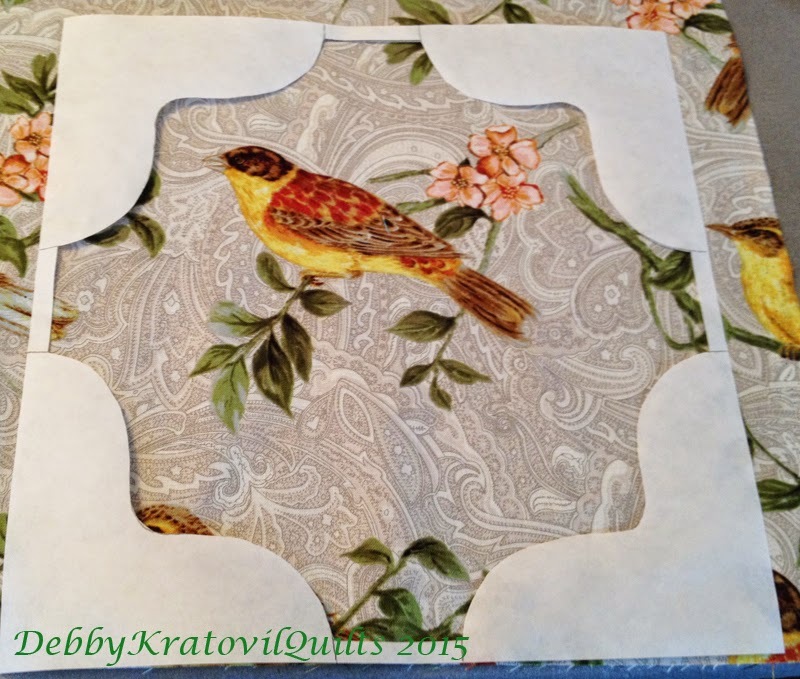 I needed to fussy cut four birds, so I needed a "window" template. Freezer paper to the rescue. 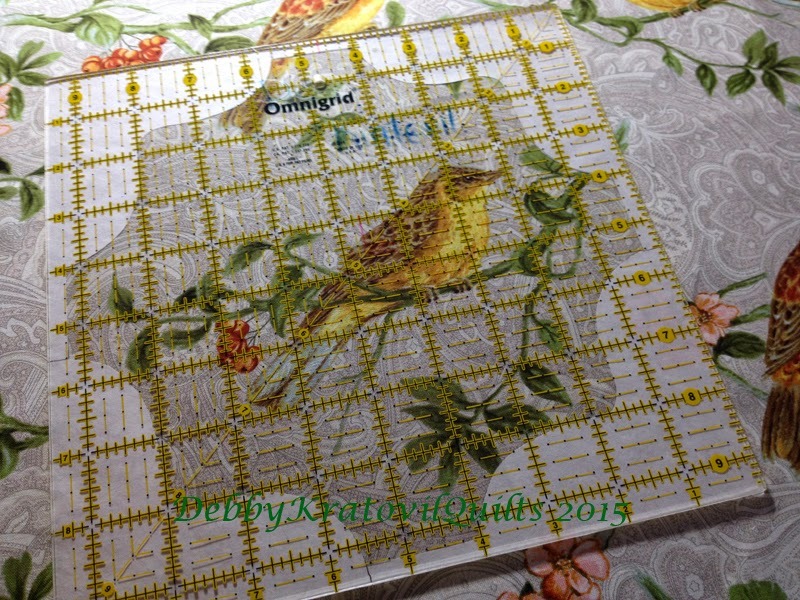 I created a window that mimicked the opening that the photo corners would create on a 9-1/2" background square. 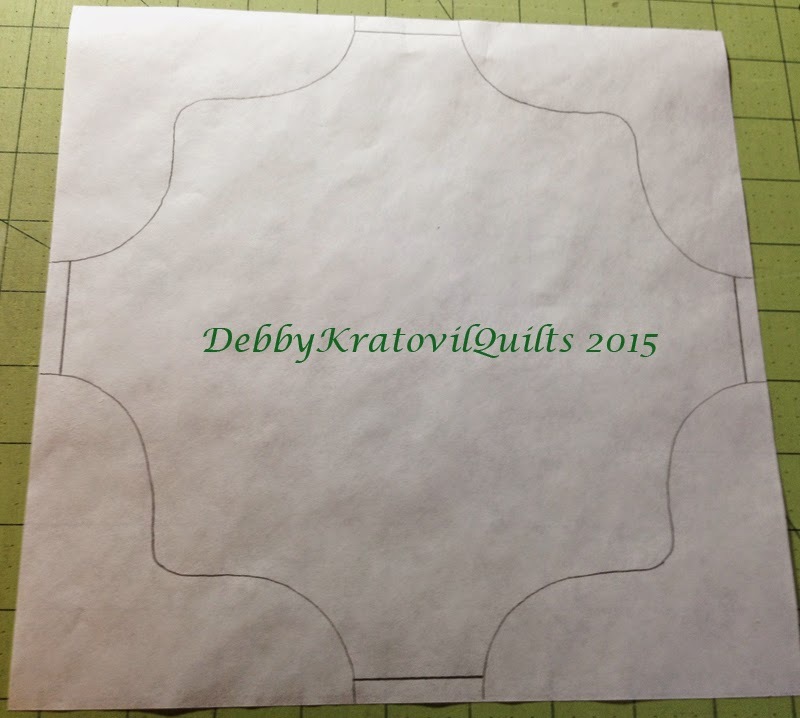 I cut a 9-1/2" piece of freezer paper and traced the photo corners as shown; then I cut out the center. 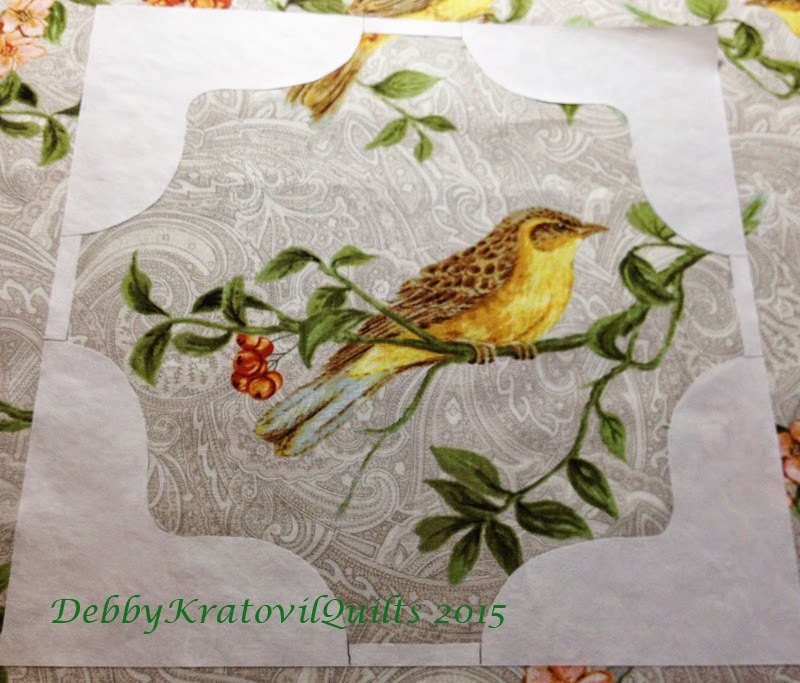 Now I can see the bird fabric and find out where to place this template for cutting. Now I can see where to place the cutting template. Centered this bird . . .
And how do they look, waiting for the stitching? And how does the same bird look with orange corners? 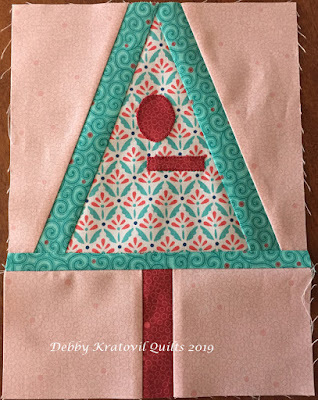 I placed the photo corners on the 9-1/2" background squares and then used matching thread, zig zag stitched them down. 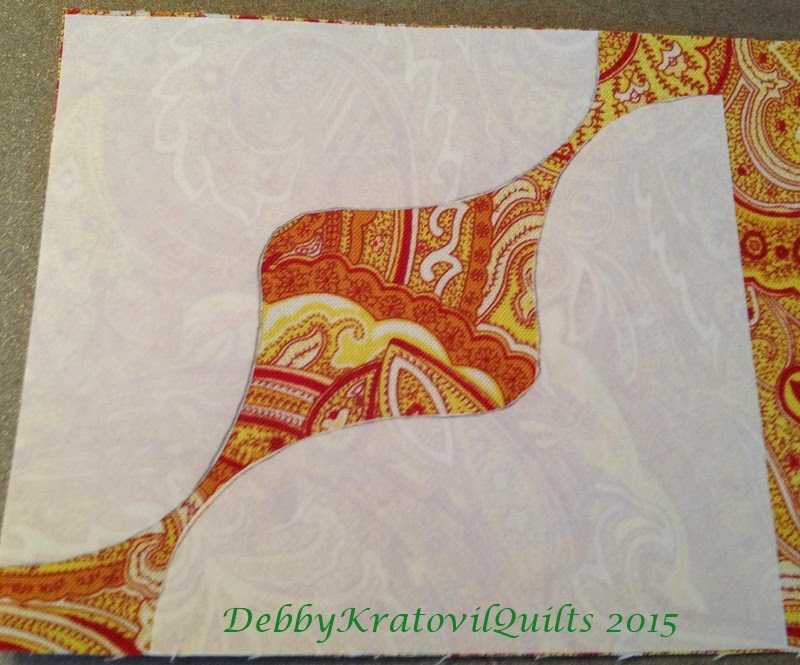 I also trimmed away the excess background fabric from behind each photo corner (before I added the sashing). 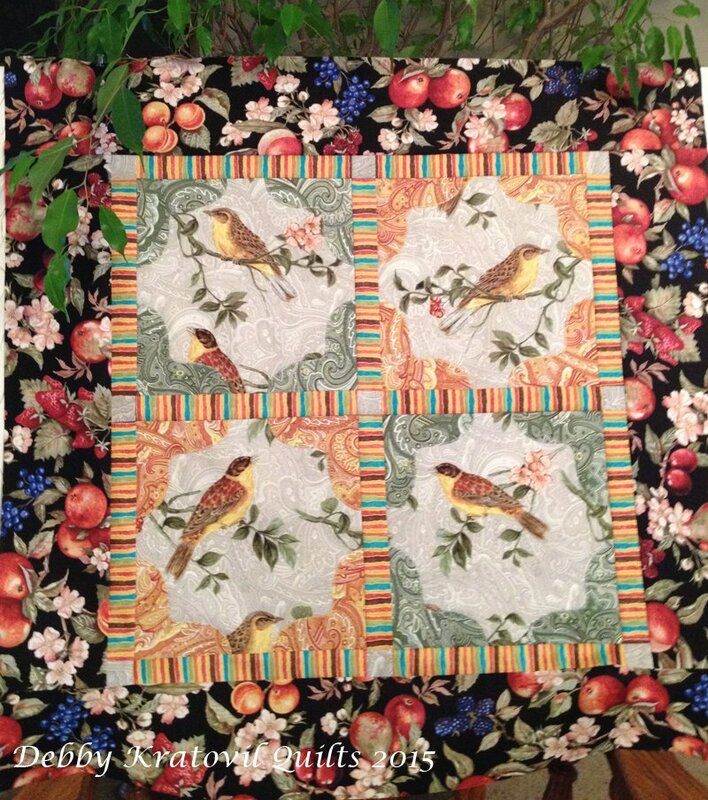 Added sashing (from another Benartex collection), then that luscious fruit fabric for a border. 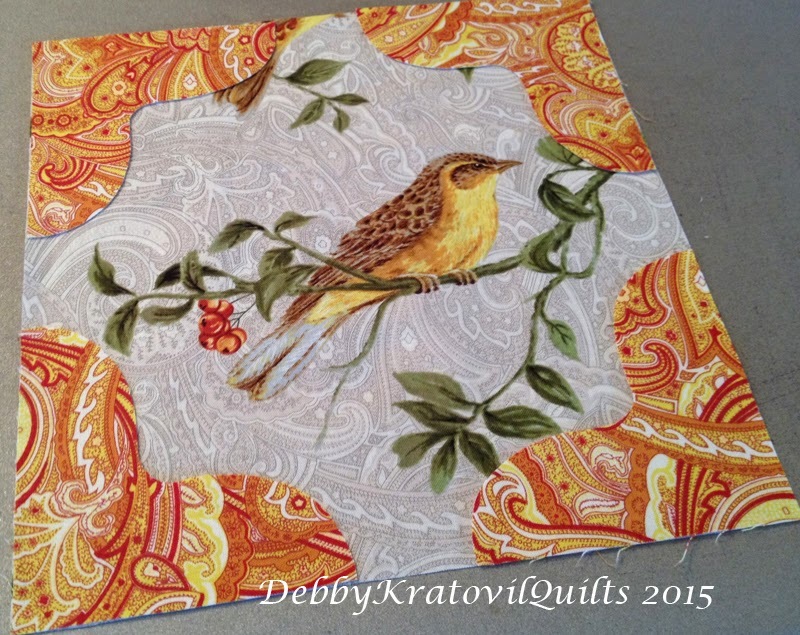 Song birds in my backyard: 30" x 30"
You can get the pattern here: Holiday Birds. This works for the Avignon quilt, too. Same size blocks.